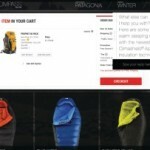 How Watson and the North Face are using big data to help determine what shoppers are looking for. Whilst IBM’s Watson has gained a lot of publicity for its brainy endeavors, one of its first forays into the marketplace was to help online shoppers find what they wanted. A good example of this in action comes via the adventure sports brand The North Face, who have used Watson to provide online recommendations to shoppers. The implementation aims to help shoppers bypass traditional searching for products entirely. Instead, all they have to do is tell North Face what they’re looking for, and why they need it, and Watson will do the rest for them. It’s designed to mimic the type of interaction you might have with sales staff in-store. The feature, which the company is calling XPS, incorporates the Watson technology to speed up shopping online. When visitors enter the website, they’re given the option of using Watson as their personal shopper. If they enter the rabbit hole, they are then asked how they might use a particular item of clothing or equipment, and for whom it’s for. XPS will then return items it believes fit your criteria. You can either accept the recommendations or provide further information to help the system hone its choices still further, which was certainly required when I gave it a test run. Suffice to say, the system is more than a little rough around the edges, but early reports suggest that North Face is happy with the service it provides. It will be interesting to see how successful the rollout is, and hopefully the system is fully capable of learning from its experiences and improving the recommendations it provides to shoppers. With traditional recommendation engines already pretty good at understanding our wishes, it faces some stiff expectations from shoppers. Time will tell how successful it is at winning them over. Oh, if you want to test it out yourself, it’s currently only available on the US version of the site, so make sure you select the right country.